Humans are weird. Me included. More often than not we say negative things about our hometown. We claim ‘it’s boring’ and ‘there’s nothing to do’. That is particularly the case as a teenager. I was the same, and still am to a degree. But ultimately, I have to love the hometown, and it turns out there are plenty of things to do in Waikanae if you’ve come to visit. 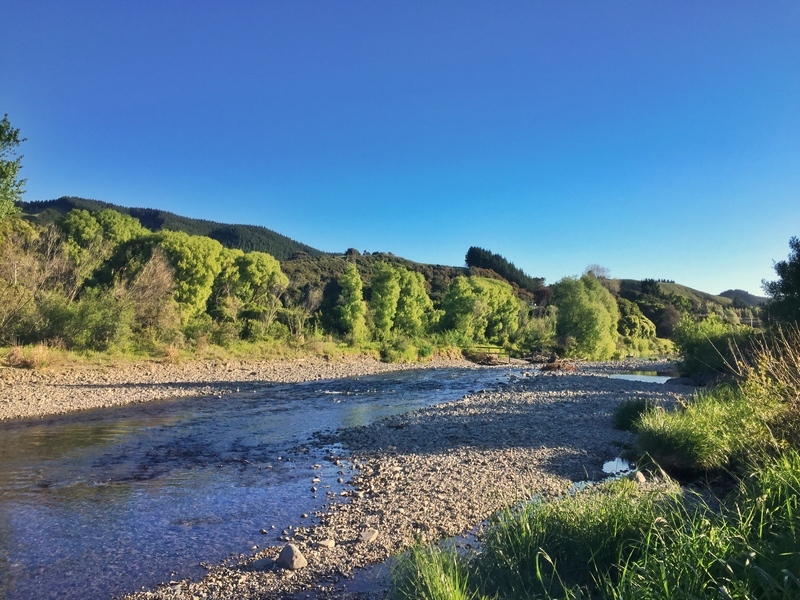 The Waikanae River runs from the top of town before flying out to the Pacific Ocean. The best spot to swim is just east of Railway Bridge. Plonk your things down on the rocks, jump in for a swim and chill out. There is also a path going the length of the river now, very nifty. There’s plenty of people along the river (on a sunny Waikanae day) and spending time at the river is a good way to kill a couple hours. I remember doing this walk as a youngster a couple times. Looking at the hill overlooking Waikanae makes it appear as though it’s a long struggle to get to the top. I went on a hot sunny day a couple weeks back and found myself at the summit in well under an hour. I didn’t manage to get a great view of Kapiti Island this time around but was still worth it. There’s a few different tracks over Waikanae available and while it was muddy in spots, definitely one of the things to do in Waikanae when I need some perspective. It’s not an innovation, but the public exercise equipment installed in a few locations around Waikanae Park is as good as any other outdoor gym setups around the world. 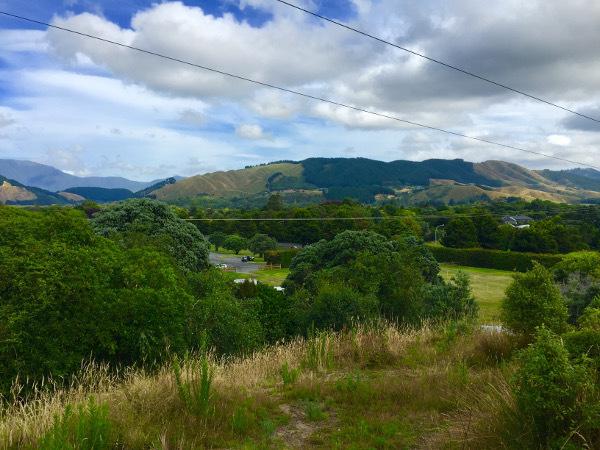 Waikanae Park is mostly large and flat, perfect for any sporting activities or you can head up the hill to the Trig and explore the various paths. The park is massive so if you want to throw a frisbee around, go for it. 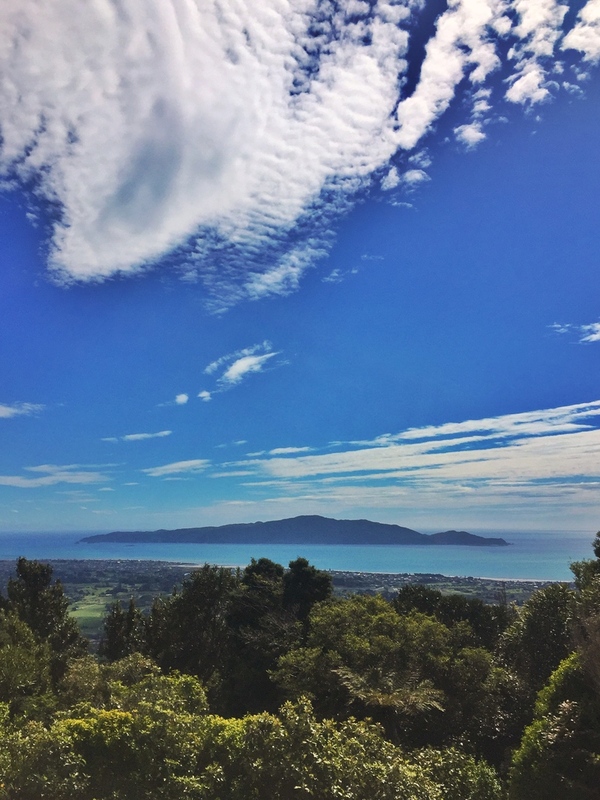 If I wanted, I could make this list of things to do in Waikanae huge by adding all the activities you can do at Waikanae Park. All along the Kapiti Coast, you can get different views of Kapiti Island so there’s plenty of unique sunset shots to use. 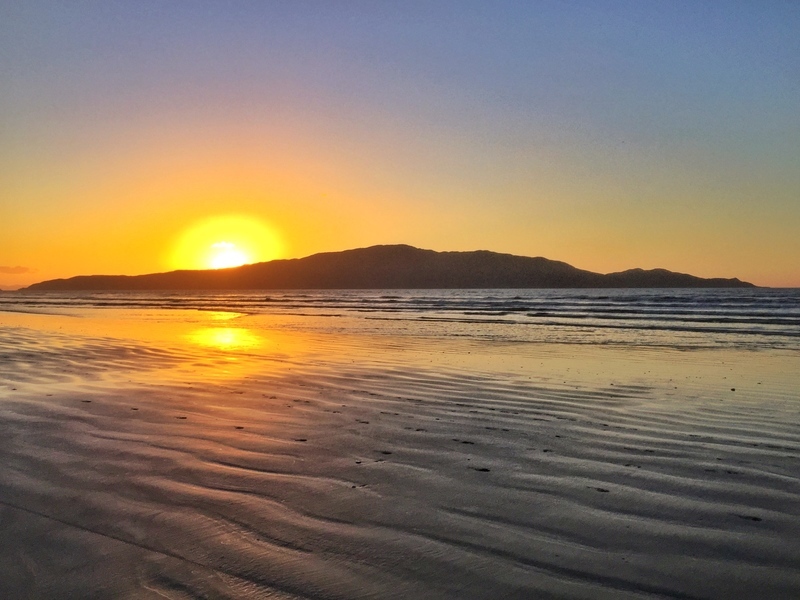 I spent a few evenings watching the sunset at the beach, though in the summer it was setting a decent way off the island, not directly behind Kapiti Island, the main attraction. I also headed down to the Waikanae River and the sunset is wicked from there too. Last year was definitely the most time I’ve spent watching sunsets, 2016 has started off the same again. Awesome. The best sunsets are when the skies are mostly clear with just a hint of light cloud cover to help the light reflect once the sun has gone down. 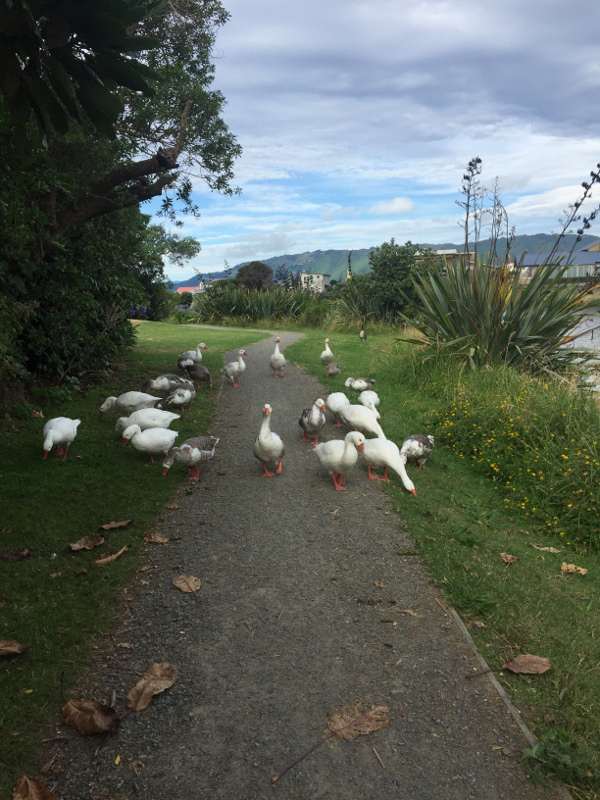 Bird watching isn’t for everyone but it was surprising to me to discover there are in fact over 50 bird species you can see in and around the Waikanae Estuary. I spent a couple of hours at the estuary one day just hanging around before going back the way I came because of the geese above. Look at the goose in the centre, I was genuinely worried they’d all turn on me! The phone isn’t great for photos of birds, but I’m guessing I saw around about 10 different kinds. You can even go on an actual bird watching tour. 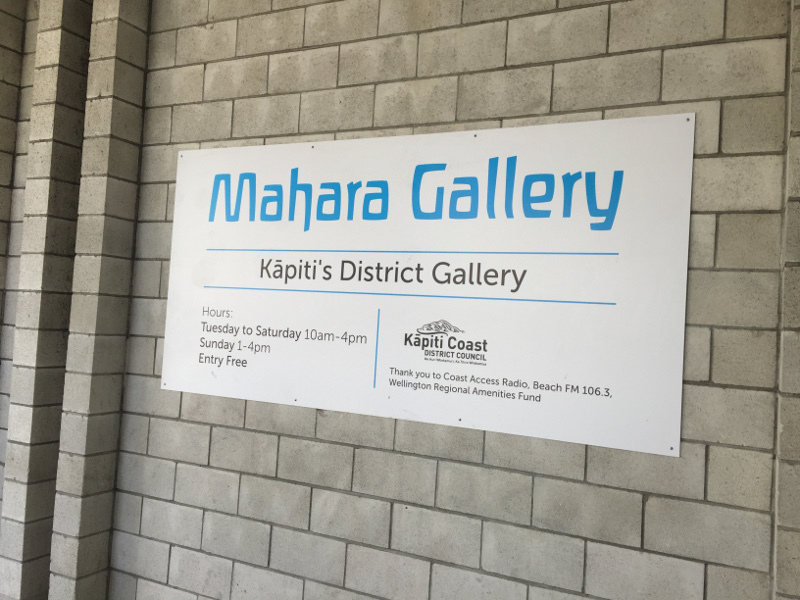 There are a few galleries around the village with the most prominent being the Mahara Art Gallery. I’m not a big appreciator of various types of art yet, so I can’t comment specifically but there was some cool pieces. Anything featuring Kapiti Island gives me the warm fuzzies. 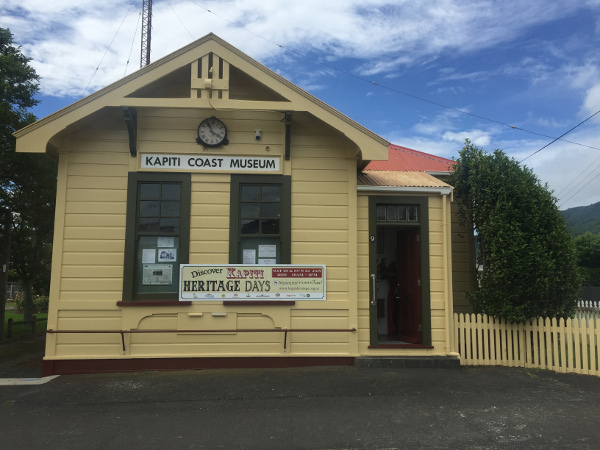 If you want to travel back in time, the Waikanae Museum is a fun way to do so. Unless you own a time machine, always choose the time machine. The Museum isn’t massive but is neatly arranged into different categories. I didn’t spend long in there but looking at how telephones have changed over the years was funny. On a nice walk, it’s a gorgeous day! 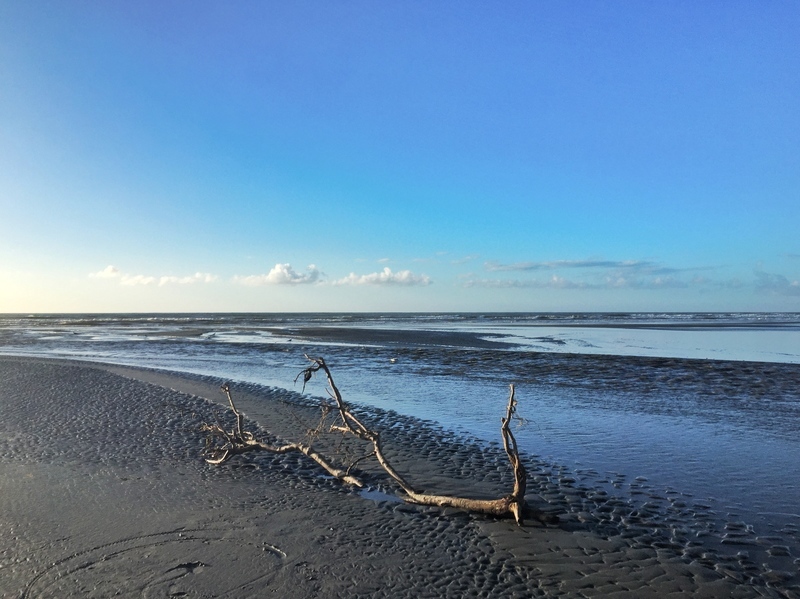 Waikanae has plenty of nice walks as you’ll see, including the one along the beach up to Peka Peka. Note, there is a nudist beach there so don’t get to much of a fright. The road runs parallel to the beach so you can even get someone to pick you up if you don’t feel like making the 5km or so walk back (depending on where you are). I was surprised how few people were in the middle section between Peka Peka and Waikanae. Great walk really, enough interesting things to see to keep you entertained. The Waikanae Golf Club is a well maintained course open to the public so hacks like me and you don’t lose 32 balls a round. Most afternoons you should be able to find a tee time when you turn up but ring up in the morning in case. 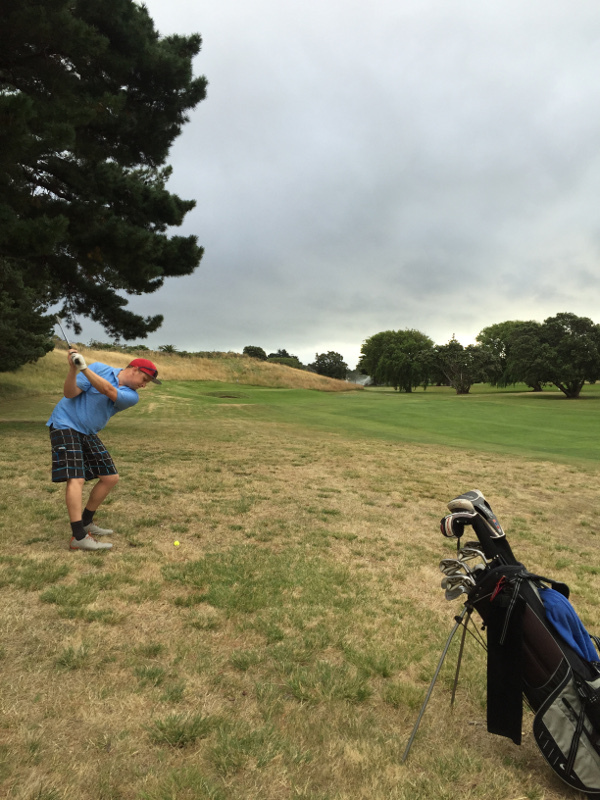 The neighbouring Paraparaumu Golf Club may have hosted Tiger Woods but many believe Waikanae is the better course. My favourite hole would have to be the 16th for sure. Random fact: I used to be a half decent golfer playing off a 5 handicap before getting the yips. Yippee. 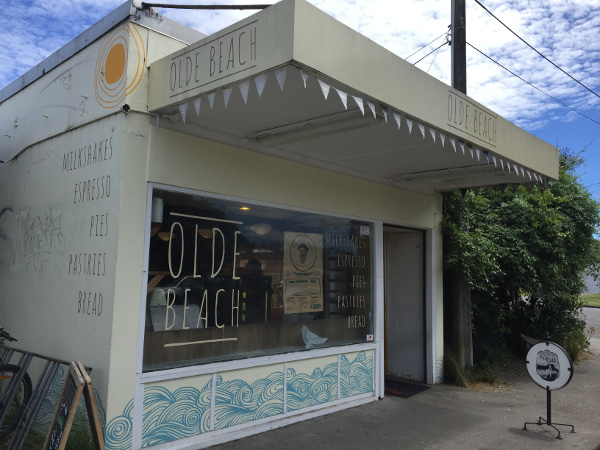 Waikanae Beach is starting to get a Cuba Street feel (without the walking street) to it with a couple cafes with personality opening up. The Olde Beach Bakery is proving very popular and has queues out the door waiting to get amongst there freshly baked treats consistently. Closer to the beach is The Front Room where the tunes are upbeat and I got some work done on a few occassionns, though you can only get internet for 45 minutes a day (something New Zealand needs to work on). Other establishments are Waimea Restaurant and Long Beach. A Few More Things To Do In Waikanae, Including Suggestions From The Destination Waikanae Facebook Page. Enjoy A Beverage At North End Brewing! Waikanae is actually a cool wee town, it did win the “Best Large Town In New Zealand” after all. I still believe it’s a great place to grow up and ‘settle down’ and staying away from the area while I’m attempting to be an adult is a good idea. Whether I decide to grow old and all that jazz in Waikanae, who knows. Will definitely always be that little bit prouder to call Waikanae home, however. Always good to see someone see their home with fresh eyes. I find it amazing how we can sometimes take things for granted or spend thousands travelling the world to see things when there is so much on our doorstep. Waikanae strikes me as a place of natural beauty which would make me feel very comfortable to be there. Always nice to step back and view your home town from a tourist perspective. Although I have to say that my home town wouldn’t get away with it half as well as yours… No beaches, no wild landscapes… hardly any epic sunsets. Definitely will have to visit your beautiful country again soon! If you’re visiting Waikanae on a Tuesday or Thursday during school terms, you might like to come to a class at Our Yoga Kāpiti http://www.ouryoga.co.nz/bookings. We offer Power Vinyasa Flow and Yin Yoga classes at our beautiful boutique studio at Peka Peka beach. With a maximum capacity of 10-12 students, you will never feel crowded and will receive personalised attention.